"Sicx is the new album series from Sleep Is Commercial. First of all Andrea Ferlin presents his first album project with the pseudonym of Sunny Charles. Sunny Charles is a jazzy-tech contaminated project. A natural consequence of the Andrea´s music research. The crossover between acoustic, organic and analog synthesizer´s sounds. The perfect balance of those elements give us the results of a deep warm minimal orchestra, magisterially directed by Sunny Charles. 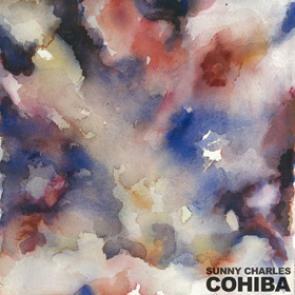 From the mellow harp and the bizarre harmonies of "Intro", "Cohiba" and "Intermezzo" passing trough the minimal techno jazz of "Pimperin" and "Behind The Window" we will land on the dance floor pearl of this album: "Still I Stay"
Sunny Charles completes his trip with "Outro" , inspired to a show of Bill Hicks. A manifesto, of how things can seem different and positive in these times of massive negative messages. It just depends on your point of view." With 3 exclusive remixes from Hubble, Agazzi and The D.L.O.